Prince Harry and his fiancée Meghan Markle will marry at St George’s Chapel, Windsor Castle, in May 2018, Kensington Palace has announced. Meghan Markle, 36, a Protestant, will be baptized into the Church of England and confirmed before the wedding. A spokesman for Prince Harry said the pair would make sure the wedding “reflects who they are as a couple”. 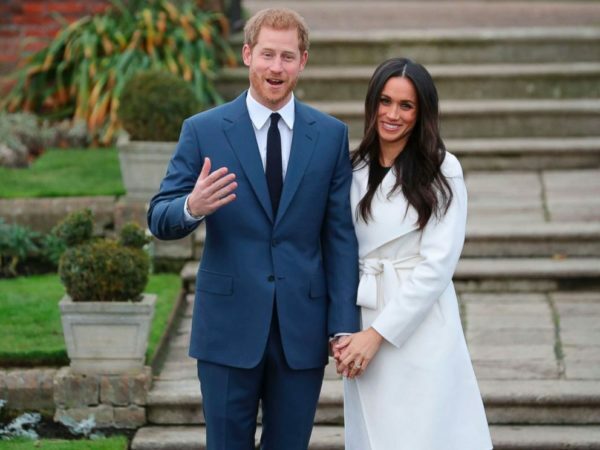 Jason Knauf said Prince Harry and Meghan Markle were “leading the planning process for all aspects of the wedding” and were working through ideas on how members of the public could “feel part of the celebrations”. Jason Knauf described Windsor as a “very special place” for the couple, saying they had spent time there together since meeting in July 2016. He also revealed that Meghan Markle intends to become a British citizen and will work towards it in the coming years. St George’s Chapel was the venue for a service of prayer and dedication after Prince Harry’s father, Prince Charles, married the Duchess of Cornwall at the Windsor Guildhall in 2005. It was also chosen for the wedding of Prince Harry’s cousin, Peter Phillips, and Autumn Kelly in 2008, and the Earl and Countess of Wessex in 1999. Prince Harry, 33, who is fifth in line to the UK’s throne, and Meghan Markle announced their engagement on November 27. Jason Knauf said it was “an incredibly happy day” for Prince Harry and Meghan Markle and they were “overwhelmed by support from the UK and around the world”.